As the leading Fitchburg pest control company, Big Blue Bug offers some of the most affordable, quality and effective residential and commercial pest control services. Since 1935, Big Blue Bug has been employing highly trained pest control specialists and utilizing the most advanced pest control technologies and methods, successfully eliminating pest infestations all while remaining sensitive to the environment. Whether you have heard mice scampering around your attic in the middle of the night, seen roaches running along your bathroom floor, or wasps have built a nest in your yard, you can count on Big Blue Bug Solutions to get rid of all your pest problems. DIY pest control methods should not be attempted if you have found any of these pests in or around your home, for many treatment products you can purchase can make infestations worse or put your family and pet’s health at risk. If you believe you are currently suffering from a pest infestation, contact Big Blue Bug Solutions in Fitchburg and schedule an appointment today! Inspect the exterior of your home, sealing holes and cracks around windows, doors, pipes, wiring and along your foundation. Repair or replace any screens with holes or tears in them. Never leave dirty dishes in the sink overnight. Regularly mow your lawn so that spiders, stinging insects and ticks don't have the chance to hide in the tall grass and weeds. Remove any standing water from your property. Organize closets, attics, basements, garages, cupboards and pantries. Keep seasonal clothing stored in hard plastic totes to deter mice from nesting in them. Remove any branches, downed trees, stumps and other debris from your property. Regularly clean your kitchen, remembering to clean under appliances and scrub areas that could have grease build-up. While these may seem like simple tasks to perform, the results will amaze you with the protection you have brought to your home against pests! No matter if odorous house ants are marching through your cupboards in search of crumbs or you have come across a large colony of termites destroying the structure of your home, Big Blue Bug in Fitchburg can help! Contact us and schedule a free inspection today! 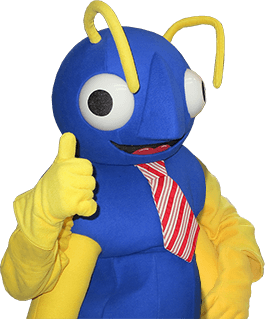 For all your Fitchburg pest control needs, look no further than Big Blue Bug Solutions!